Need a brother by your side or crazy about brother sewing machine? 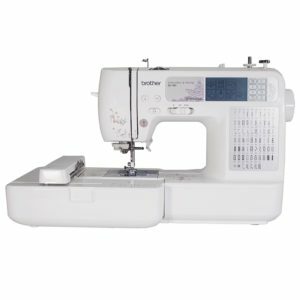 If you are looking for one Brother machine that can perform both sewing and embroidery excellently, you should certainly consider getting the Brother SE-400 for yourself. This is one of the sewing machines that I will definitely recommend to any of my friends, especially to you guys, my readers. They have the computerized embroiders, monogramming, quilting and sewing machine for your professional or basic needs. Here are the 6 best brother sewing machines for 2018 you definitely need to consider. 7 Why should one choose a Brother Computerized Sewing Machine? 8 Which sewing machine is best singer or brother? With the Brother SE400 Combination Computerized Sewing and 4×4 Embroidery Machine, nothing is impossible. At a price that can be considered average for sewing machines, you may now have your very own unit of this amazing product. It comes with so many exciting features that both amateurs and professionals will definitely enjoy. 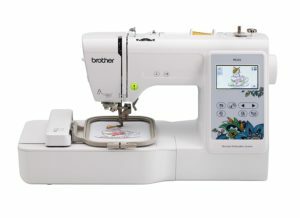 If you find pleasure in sewing and in embroidering, this computerized sewing machine from Brother should definitely land on your list of choices. With its ability to gain computer connectivity, any trendy design that you can possibly think of for embroidery is always just a press away. The Brother SE400 Embroidery Sewing Machine is an amazing machine and it is taking the sewing and embroidery experience to a different level. Here is my detailed review of the Brother SE400. Computerized LCD makes it fast and easy to switch between projects. Offers an abundance of stitch and design options. Fast and easy to thread and get started. Includes 8 presser feet with snap-on mounting. Offers tutorials right through the LCD screen. Free arm design adds extra sewing functionality. Choosing stitches is tedious with 12 screens to scroll through (6 per page). Bobbin case needs frequent cleaning due to built-in sensors. There is no denying the fact that Brother XL2600i is one of the most affordable machines out there on the market. 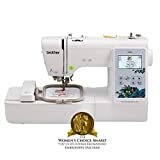 With it, you won’t have to worry about buying a new sewing machinebecause it has some great features and the best thing is that the machine comes from a brand that is well-known in the world of sewing machines. 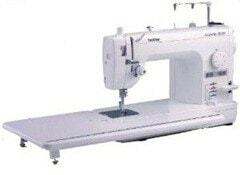 The machine is very easy to use and if you are just starting with sewing, the XL2600i can be an excellent option. While I did have some sewing experience, the affordable price tag and the easy functionality of this machine contemplated me to go with it. It’s been around a year now and I only have positive things to say about this machine. I hope that my Brother XL2600i review provided you with some great information about this machine and made the buying process simpler for you. If you still have any queries about this machine, send them through the comments section and I will try my best to resolve them. Here is my detailed review of the Brother XL2600i. Speed Control System makes it easy for you to regulate your speed and apply the most precise sews. Lightweight makes it a very easy to move machine, so I can take it anywhere I need to go with it. Instruction Manual was very detailed and thorough, which you will find to be a rare thing on some of the machines on the market, brother doesn’t leave you out to dry. No digital display screen like other machines, but when you think about it, this is a feature that you can definitely live without. No case or dust cover included but we have always just thought—can’t you just sew one together for yourself? Typically needs to be ran at slightly slower speed to prevent your needles from breaking on heavy or bulky fabrics, like denim. By high quality needles. Serious quilters need a serious quilting machine. The Brother PQ1500SL fits the bill, offering a 1,500-stitch sewing speed, generous extension table and automatic needle positioner for professional-quality quilts. The Brother PQ 1500SL is not the cheapest quilting machine but it is far cheaper than other machines that people say are a must have for quilters. Overall this is packed with awesome features and power. The PQ1500SL features an adjustable pin feed mechanism, 4 feed dog settings for maximum fabric control, knee lifter & bed extension table for quilting, full range foot pressure adjustment and an automatic thread cutter with F.A.S.T. needle threader – a time saving convenience. All of this and it sews up to 1500 stitches per minute! 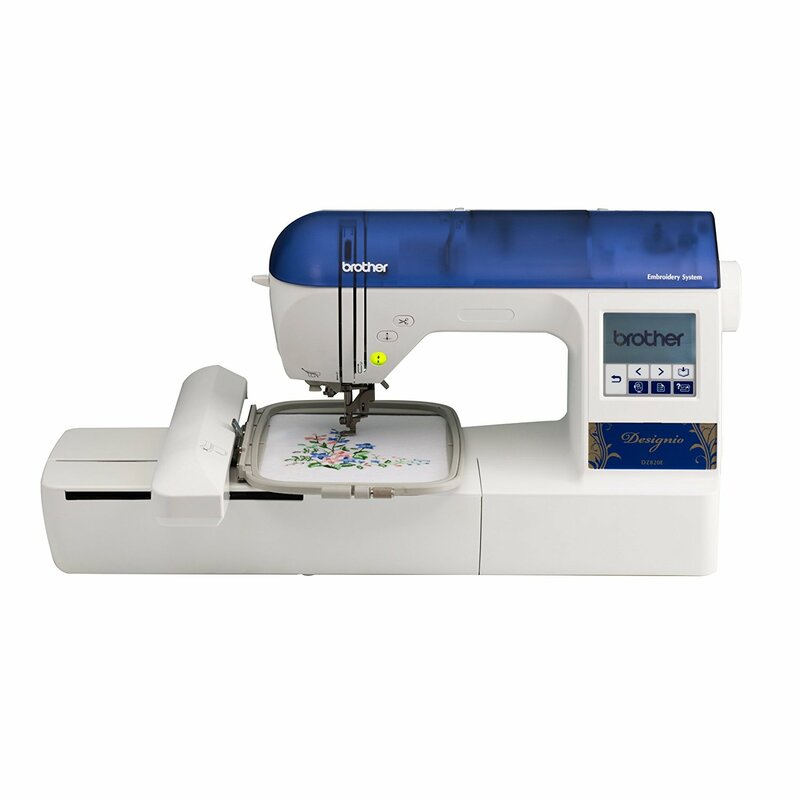 The Brother PQ1500SL is ideal for machine quilters who want to take their projects to the next level. 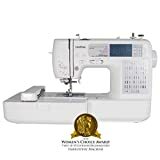 With convenient automatic features, a built-in knee lever and a lightning fast sewing speed, this machine will have you completing projects in record time. 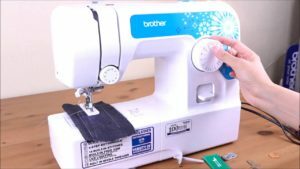 Brother also offers excellent support, so if you ever do run into trouble with your machine, you can get the help you need to fix the issue and continue sewing. The Brother PQ1500SL is consistently one of the highest rated and best value machines on the market today. 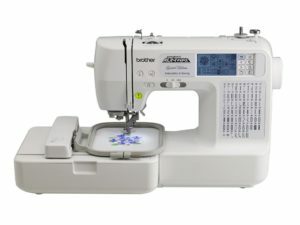 It is a decent computerized sewing machine which can even be effective as a full-time embroidery sewing machine. With a lot of stitch options and stitch selections, it gives a creative edge for all the seamstresses. Unlike the Brother’s CS6000i, the machine doesn’t compromise on quality even after providing a lot of options. LCD screen panel allows you to select the desired stitches within few touches. Setting up the machine is very easy. Therefore, along with the professional seamstresses, even the newbies can find it useful to the core. Brother LB6800PRW is totally worth its price. It may be pricey but you will enjoy numerous benefits in the long run. This embroidery and sewing machine is easy to use and suitable for both experts and beginners alike. With all the included features, you will be able to use this machine to create beautiful designs. The hoops that come with the Brother LB6800PRW are a little small, which actually serves my purpose but may not be so appropriate for someone who aims to do plenty of large size machine embroidery project. Here is my detailed review of the Brother LB6800PRW . The other option available for those who are looking for dedicated Embroidery Machine is Brother PE535 Embroidery Machine. It comes with a huge number of Embroidery features which makes it a perfect choice who wants to buy Machine exclusively for Embroidery purpose. Its a good choice for businesses as well since it can be a house for long hours without any problem. So if you are into embroidery business or have a boutique where you decorate the blouses, bags, home decor items with Embroidery designs, Brother PE535 is a good choice. The best part is, it is not as expensive as other models made for only embroidery purpose. Though the embroidery area is bit smaller than other models we have discussed above. It comes with 4×4 embroidery area which is enough for most people (not for all). It comes with 80 built-in Embroidery designs and ability to import more with the help of computer connectivity. Brother PE535 has 2.0 USB port built-in and with a memory stick, you can import the design on the machine. The front of the Embroidery Machine has colored LCD screen which let you view your design before you go ahead and make a design with embroidery. Among the other features, it has Automatic Needle Threader, 9 lettering fonts. Suitable for thick materials too. Smaller embroidery area for a dedicated embroidery machine. The Brother Designio DZ820E Series Embroidery Machine with Starter Kit and CD is rated 4.8, and has design editing features and built-in tutorials on the back-lit LCD touch screen display. It features 136 built-in embroidering designs, 120 frame pattern combinations, and 6 lettering fonts that will take users to the next level of fashion design. Without a shadow of a doubt, the Designio DZ820E embroidery machine is the best entry-level model on the market. This machine has absolutely everything a beginner could ask from and much more. In fact, it practically overdelivers in most departments and outperforms much more expensive models. The only bad thing about it is the size of the display, which is most probably something most of us are willing to accept, as it doesn’t really hurt the overall user experience. Considering the price, this is the best embroidery machine someone on a fairly limited budget can afford. Accessories, the large number of built-in designs, tutorials and everything else, all together, makes the DZ820E by far the best beginner embroidery machine available today. This is the perfect machine for anybody who is serious about embroidery and possibly plans to earn money from their work in the future. If you looking for a machine that has it all then the DZ820E should be on your short list. Why should one choose a Brother Computerized Sewing Machine? Not only Brother but before you choose any sewing machine, there are several factors that one needs to pay attention to assure that you have a perfect fit for all your sewing needs. Once, those factors are fulfilled, one needs to look towards the brands that suffice all the sewing demands. Which sewing machine is best singer or brother? I think the Brother vs. Singer debate is kind of like Coke vs. Pepsi or apples vs. oranges. Some like one and some like the other. Both make a lot of machines targeting beginners and hope you’ll move up to a more advanced model of their brand as you gain experience. I have a brother sewing machine that I do most of my sewing on and I also own a Brother Serger and I love them both. But I am positive that if I owned the Singer model that is similar in features, I would not be disappointed. What is most important is to find out what it is you are looking for in a sewing machine and then narrow it down from there. Don’t focus on a particular brand if you are a novice because there are so many awesome machines out there that will suit you. You must know what you want. Start by setting up your financial plan and find the best sewing machine in that price range, regardless of the producers. Never begin your expedition by features, because that may not assist you in discovering a top quality sewing machine. With this, we conclude our blog for the best-computerized Brother sewing machines in the market today. Brother has released several devices that are automated, but we took a dig at the machines that are highly rated by the professional seamstresses. Also, we tried not to mention industrial machines because most of our readers are commoners who are merely passionate about sewing. Now that we have covered most of the computerized sewing machines released and manufactured by Brother, we hope that you got ample information regarding the same. Also, we wish that we were able to give answers to all the questions you had in your mind before you turned towards the internet for help. 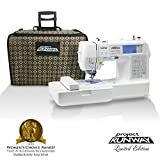 If at all, we have missed out on any Brother Computerized sewing machine that should make the cut, write to us in the comment section below, and we would try our best to review it for you. Also, one can even point out to the machines if they do not deserve to be there on the list. 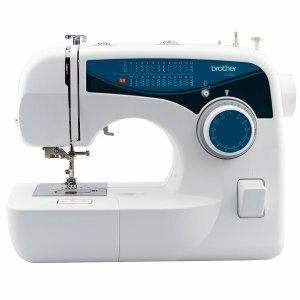 Brother is a trusted sewing machine brand and has been producing computerized sewing machines for quite a while now. Therefore, in doubt, we highly recommend the brand and its associated products for you. It wouldn’t disappoint at the performance level.